Charles MacQueen RSW RGI (b 1940) is a master of colour and composition, using textured layers of paint, gesso and mixed media to evoke the sensory experience of a place beyond representation. 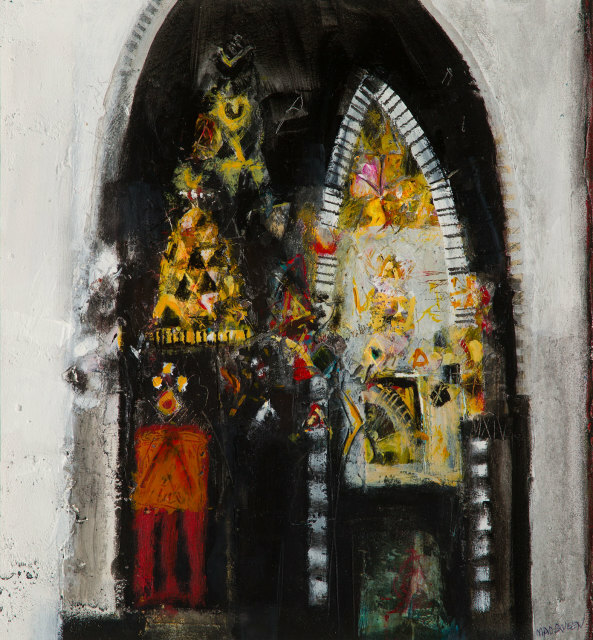 MacQueen’s work is often based on travels; to Italy, France, the Greek Islands and Morocco, incorporating the temperature of colour, mirage-like shimmers of heat and architectural details as imaginative gateways. There’s an uncanny suspension of time in MacQueen’s art. This, coupled with astonishing fluidity, conjures images of lived experience and memory out of the painted surface. Charles MacQueen RSW RGI trained at Glasgow School of Art. An elected member of the Royal Glasgow Institute and Royal Scottish Society of Painters in Watercolour, his work is represented in public, corporate and private collections worldwide.